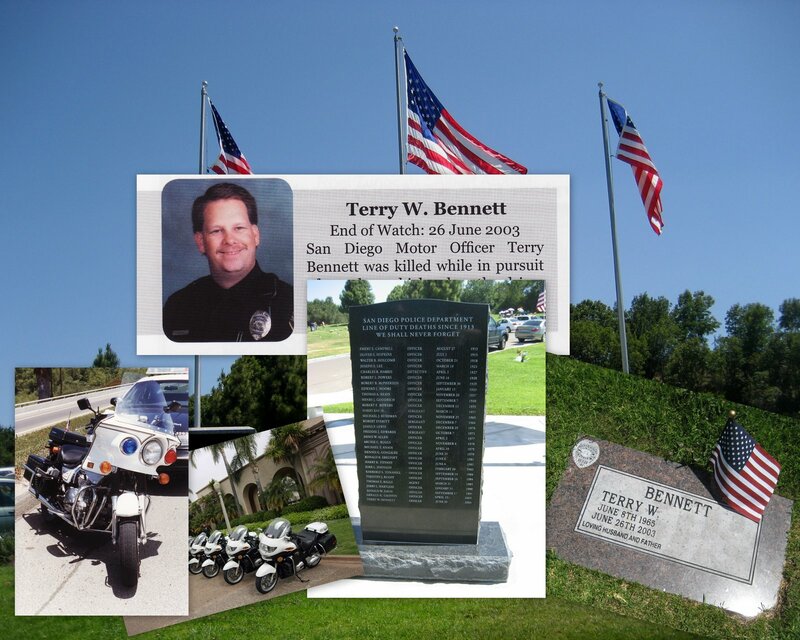 Ten years ago today, Terry, aka Tigger, our dear friend and my husbands partner on the SDPD Motorcycle Squad, was suddenly taken while on duty. 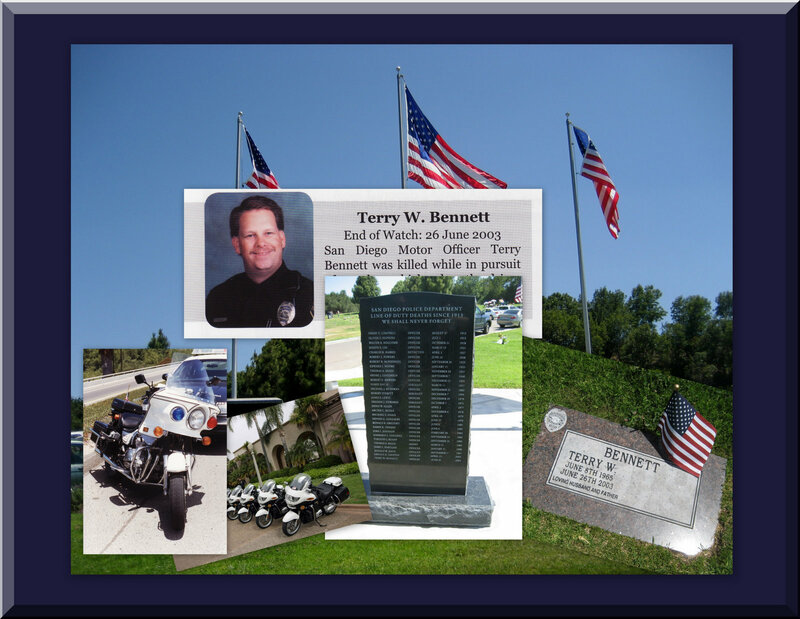 Brennan (1995~2012), Terry's son, passed away on November 18, 2012 . . . they are now together . . . both are missed deeply and will forever be remembered. Beautiful memorial for Terry, Tigger. Thank you, Cheryl . . . he was a sweetheart.